If you have deleted files or have some form of data loss with no backups, turn off the machine and contact us immediately. 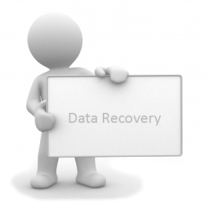 We offer a free data recovery evaluation. We have the latest in data recovery software and hardware technology that will get your data back. Software recovery methods such as reverse cloning of the failing hard drive are fast. Where there is a physical hardware problem the drive may require further work performed in our clean room environment before the data is recovered.